Whale Watching Victoria BC | Book Your Whale Watching Adventure! The waters surrounding the southern tip of Vancouver Island teem with orcas (killer whales), as well as harbor seals, sea lions, bald eagles, and harbor and Dall porpoises. 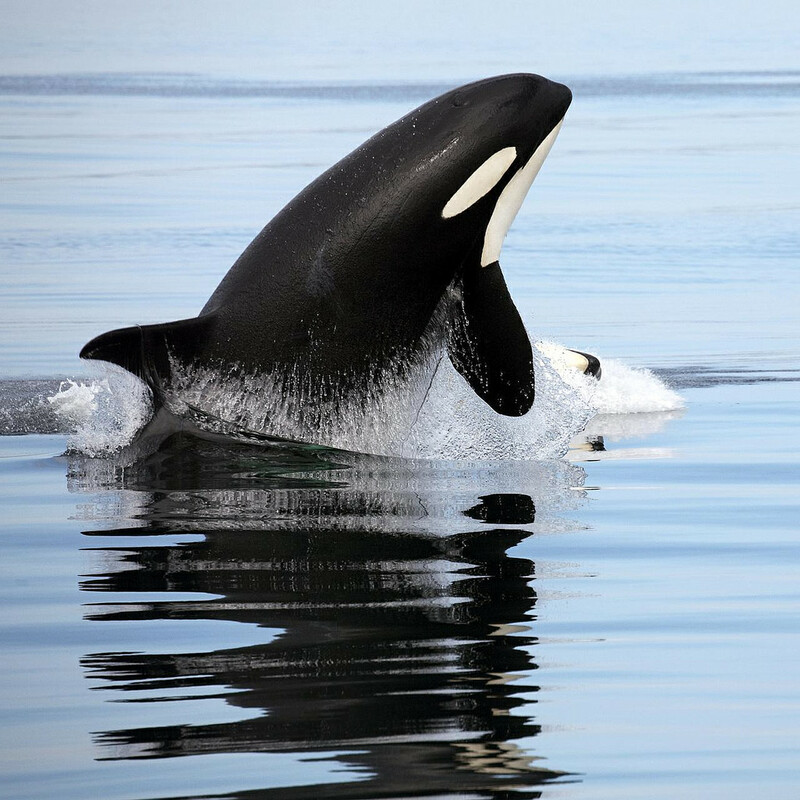 There are three different populations of orcas encountered along the West coast of North America. These three groups are genetically distinct and do not interact socially - in fact, observed behaviors indicate that they normally avoid contact with each other. The three different populations are referred to as residents, transients and offshores. The resident population is comprised of extended family groups of orcas. These clans have established territories and fairly predictable patterns of movement within those territories travelling in pods and sub-pods. A large pod of 90 resident orcas can be found near Victoria from April through October with the occasional group of transients spotted. In the winter months Humpbacks and Grays can be seen in this area. Killer whales, or orcas, are the largest members of the dolphin family. Male orcas can reach up to 30 feet in length, and their large, distinctive dorsal fins can be nearly 6 feet (two meters) tall. A large male can weigh up to 9 tons. 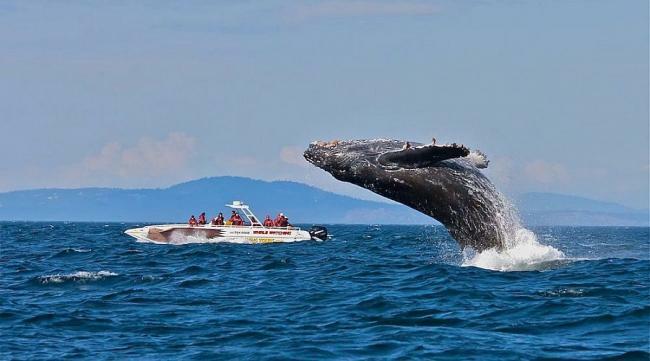 A major whale migration occurs in mid winter off the west coast of Vancouver Island near Tofino and Ucluelet, when approximately 20,000 Pacific grey whales leave the Baja Peninsula to journey north to Alaska, cruising past Vancouver Island enroute. Migration is at its peak in March and April at which time the area hosts the Pacific Rim Whale Festival.The whales come very close to shore and can be observed from the Wickaninnish visitor centre at Pacific Rim National Park. Several pods spend the summer months in Clayoquot Sound and can be seen on daily boat tours to Hot Springs Cove.